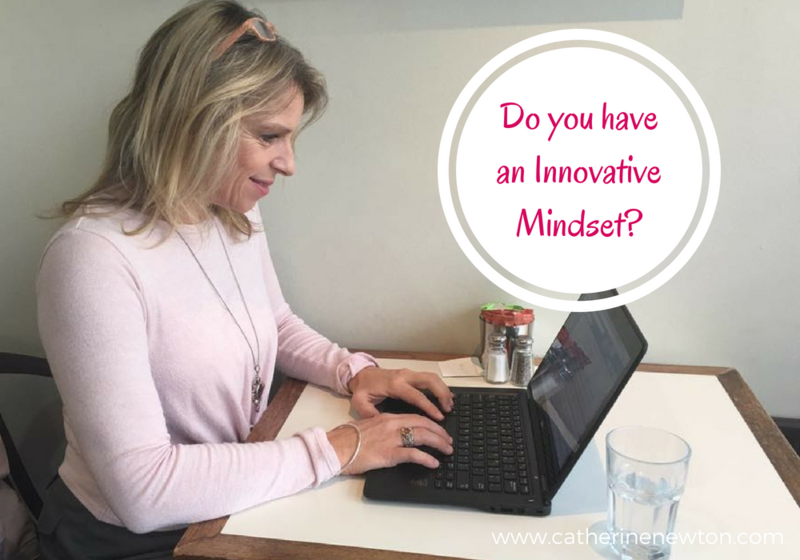 27 May Do you have an Innovative Mindset? Of all the buzz words in today’s business, innovation holds centre stage. As we celebrate #techweek this week, we recognise all that is innovative and good for the world. Innovation is crucial to the continuing success of any business or organisation and we would do well to understand and explore the topic of Innovation as business owners and leaders in our field. If you are like me you want to put a ‘ding in the Universe’ (thanks Steve Jobs for coining that phrase!) with the work that you are here to do, or the product you are here to market. To do so you’ll want to understand and practice the innovative mindset that will make you so valuable and your work more creative. Asking “Why” and “Why not” can help turbocharge your discovery skills. The magic question is “What would happen if I did this?” The if it feels right, or even if it scares me a little, I say yes. Taking risks may lead to failures, but it’s nothing to be ashamed of. I may not get it right, but failing should be a cost of doing business. The more risks I take the more likely I am to create new ways of doing business and therefore the more opportunities show up. I may have just failed at something but when I’m able to apply the same idea to a different problem, I am applying persistence. To be open to these perspectives, even if you just file them away for another day, is critical to your success. Give yourself time to think differently. The most innovative ideas DON’T happen at the office or your desk. They happen when you are relaxed, enjoying yourself and not even thinking about solving your problems! 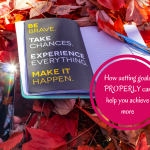 When I step away from my desk, and I ‘plan’ for times when I’m allowed to be creative, to dream big and to journal about it, my thinking expands and I start to set a new course. To innovate you have to experiment; have experiences that broaden your view. Travel, learn a new language, take up calligraphy, go skydiving. Do the things that make your world like one big lab and in the process open up your mind to what works and what doesn’t in your industry. Never stop experimenting. Get used to being told no, to things not working out how you hoped it would work out, and having to reinvent ways of doing things along your journey to innovate. It’s a mental muscle that can be strengthened and developed through practice. “You’ve got this;” say this many times over to yourself! The more you surround yourself with other people and their perspectives the better. Talking to people about what you’re working on, on your big (or not so big!) idea, can lead to a great source of ideas. 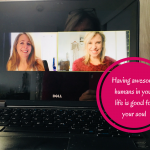 Identify the types of people you want to surround yourself with and seek out the industry events they are at and go there! It’s about asking questions that challenge the status quo; it’s about seeing things differently, and it’s about challenging yourself to step outside your comfort zone. If that makes you feel uncomfortable, while still giving you a thrill, then you’re exactly where you need to be. Lean into that discomfort. Embrace the ride. Status quo is not where innovation happens. It’s the killer of your business, your future, your opportunities, your TRUTH, your health, and your relationships. Try spending 15 to 30 minutes each day writing down 10 new questions that challenge the way you are showing up. Find your authentic voice in the process, getting out of your comfort zone, collaborating, and finding ways to amplify other voices. Don’t wait for perfection. Start now. Innovators must consistently act differently to think different. What better questions can you ask today to help you think differently? You can start by asking yourself, how would this 12 week Program help me become more Innovative and turn my idea into reality? Go to www.aut.ac.nz/pracinnov and come and join us!